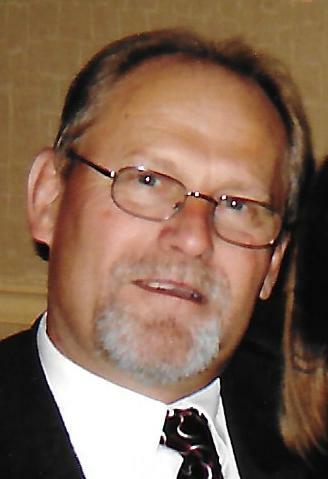 Dennis Patrick Bibby, Jr., 67, of Dunellen passed away suddenly on Saturday,March 23, at his home. Dennis was born in Orange, NJ and was predeceased by hisparents Dennis P. Bibby and Lillian (Sorge) Bibby. A 1969 graduate of Orange High School, Dennis was a Vietnam Era Veteran who proudly served in the United States Army from 1969-1972 and was a member of American Legion Post 119. He was employed by Linde North America(formerly Airco/BOC) as a maintenance mechanic for over 40 years until his retirement in 2016.Dennis was an avid golfer and Jets fan, and a recent member of the St. Matthew’sCounters at his parish, Our Lady of Fatima in Piscataway. Dennis was deeply loved by his very large family who never ceased to care for him throughout his illnesses and his struggle through pain and discomfort. Throughout it all, he continued to support his immediate and extended family as “Mr. Maintenance,”sports fan, and babysitter to grandchildren, godchildren, and great nieces and nephews. He is survived by his wife of 43 years Sue Ellen (Whatley) Bibby; his daughter Brennan Bibby Quagliana (Toni-Anne) of Langhorne, PA; and his two sons, Dennis Patrick Bibby III of Northampton, PA; and Sean K. Bibby (Michelle) of Piscataway and his father-in-law, Kenneth Whatley. He is also survived by his seven grandchildren Nathaniel, Jayden, Julian, and Jordan Quagliana and Gianna, Brielle, and Arabella Bibby; two sisters, Sharon Morterud and Madeline Basile and his brother, James Bibby. He will be greatly missed by his sisters-in-law, brother-in-law, nieces, nephews, cousins,and multitude of friends. Friends may call at the funeral home on Tuesday, March 26, from 3:00-8:00 pm. A Mass of Christian Burial will be celebrated on Wednesday morning at 10:30 am at Our Lady of Fatima Church, 501 New Market Road, Piscataway. In lieu of flowers, donations may be made to operationsmile.org or the National Shrine of St. John Neumann, 1019 N. 5th Street, Philadelphia, PA 19123.